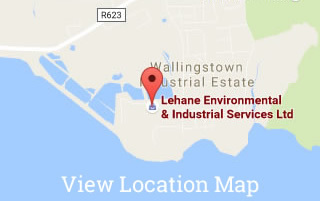 At Lehane Environmental the focus on quality management is of paramount importance as it assures our clients that our services are carried out under the highest possible standard in order to guarantee efficient work methods and quality on every level of our business. Whilst our Company always operated an Integrated Environmental, Health, Safety & Quality Management System, we only had it certified to ISO 14001 and OHSAS 18001. This year we decided to have our Quality System assessed for certification. We had a phase 1 audit in September and our phase 2 audit in October. Lehane Environmental is delighted to announce that our system has now been formally certified to the ISO 9001 Quality Management Standard. This internationally recognised standard sets out the esssential requirements for a practical and effective quality management system (QMS) which is, in essence, a system for minimizing risk and maximising opportunity when dealing with all aspects of the company’s operations.